This Wednesday, EU Commissioner Günther Oettinger presented the new draft proposal of the AVMSD, which was shockingly devoid of increased restrictions on alcohol advertising. The new proposal follows a 2015 public consultation in which many European health- and consumer organizations indicated they wanted the AVMSD to do a better job at protecting minors against exposure of alcohol advertising. The EU’s Audiovisual Media Services Directive (AVMSD) is the only pan European media regulation, and therefore the only Europe-wide regulation of alcohol advertising. Because of its unique position, the AVMSD is a crucial European policy instrument in preventing harmful content from reaching minors. The AVMSD has two articles dedicated to alcohol advertising (article 9.1 and article 22) but these do not effectively protect minors from frequent exposure to alcohol advertising, which is often particularly attractive to minors. The draft for a revised AVMSD that is currently on the table boasts that it will better protect minors from harmful content, yet it does nothing to decrease the number of alcohol advertisements European children are exposed to on a daily basis. In fact because of a liberalization of broadcast advertising times, it is possible that minors will be exposed to an even greater number of alcohol advertisements. The revised AVMSD draft proposes to increasingly rely on alcohol industry self- and co regulation. This shows how market interests are put above European public health. The commission is willingly ignoring a vast body of research which shows that alcohol industry self-regulation stands at odds with improving public health. We ask EU citizens, NGOs, national and European representatives to ask the European Commission if they are really doing enough to effectively limit the exposure of minors to alcohol advertising. This is why the signatories of this press-release have jointly launched the website change-avmsd.eu! Visit the webpage, sign the petition and help us protect minors from exposure of alcohol advertising! If you are interested in this subject, want to know more or voice your support, you are kindly invited to our seminar “How do we protect minors from exposure of alcohol marketing?” at the European Parliament Room A1G3, Tuesday May 31st, 8:30. 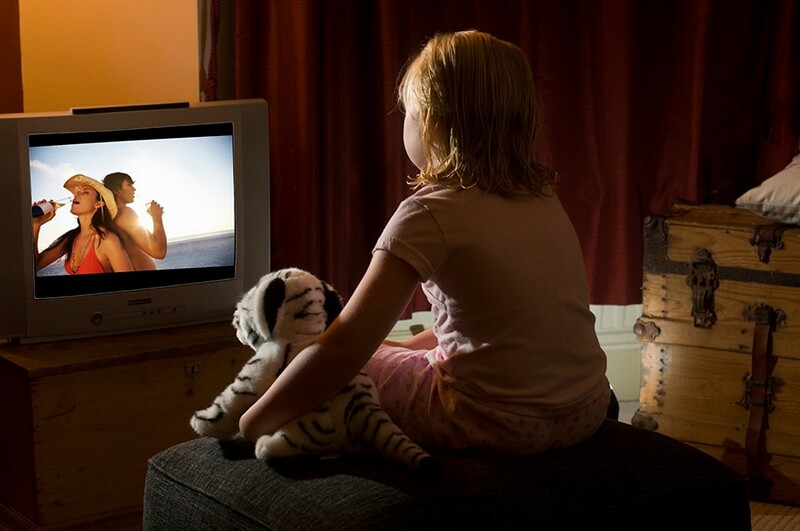 Especially the vulnerable group of 13-17 years of age will be watching prime-time and evening television which is expected to become more saturated with advertising, since broadcasters will no longer have an hourly maximum of 20% broadcast time they can show commercials, but now a daytime maximum of 20%.